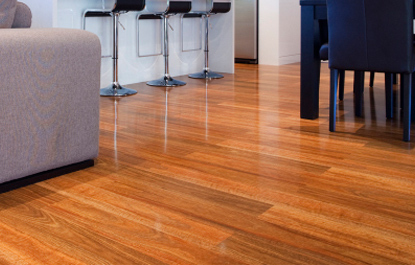 Raw Solid Timber Flooring is the unfinished timber floors which are finished onsite. It is not stained or sealed. Raw timber floors are extremely versatile. It allows you to create your own finish that suits your home. They are extremely stable and allows for a better uniform seal and finish by filling the gaps between each piece. Because it's raw, you are able to choose light or dark stains, glossy or matte finishes and even oiled finish for the natural look. Sanding the floors while installation has its own benefits too. It lets the installer do the border and edges and other elements which are not normally available with factory prefinished flooring.